Heat some water until it is simmering. Add the almonds and blanch them for 3-5 minutes. Drain the almonds and peel them. The skins should come away easily. Grind the almonds with one cup of milk (or more) until you achieve a smooth paste consistency. Set aside the almond paste. 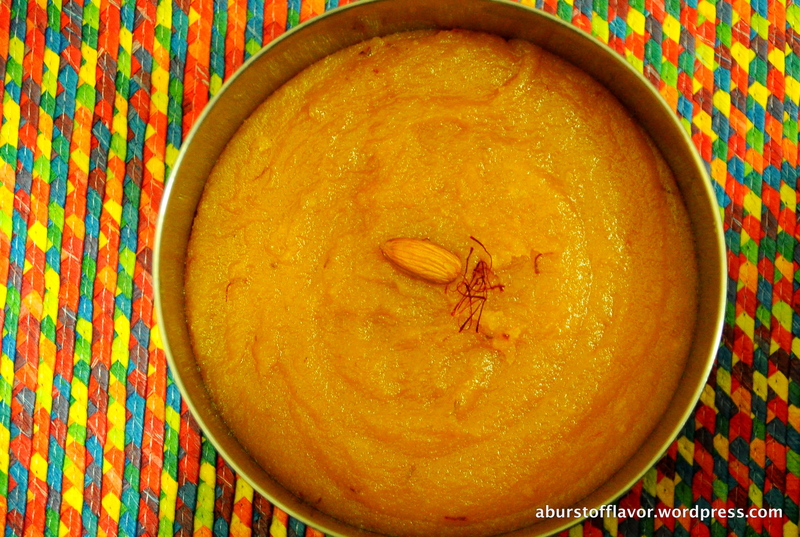 Soak the saffron strands in a few drops of milk and set aside. 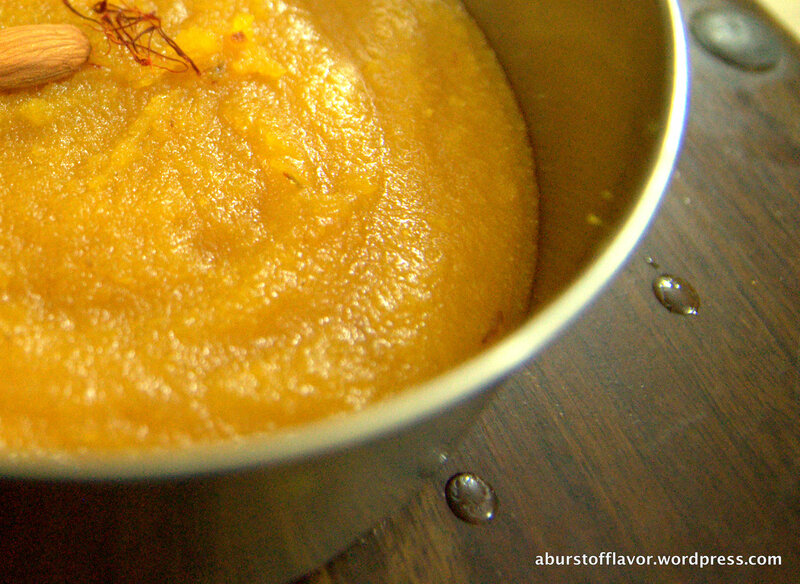 Dissolve the kesar food colour in a few drops of water and set aside. Now heat the ghee in a wide bottomed pan. Set the ghee aside in a different cup. Add the water into the pan and the sugar immediately after. Stir continuously until the sugar is dissolved. Now add the ground almond paste into the sugar syrup , stirring continuously to ensure that no lumps are formed. Add the saffron milk and the kesar colour. Keep stirring until well incorporated and the colour changes. Add more colour if required. 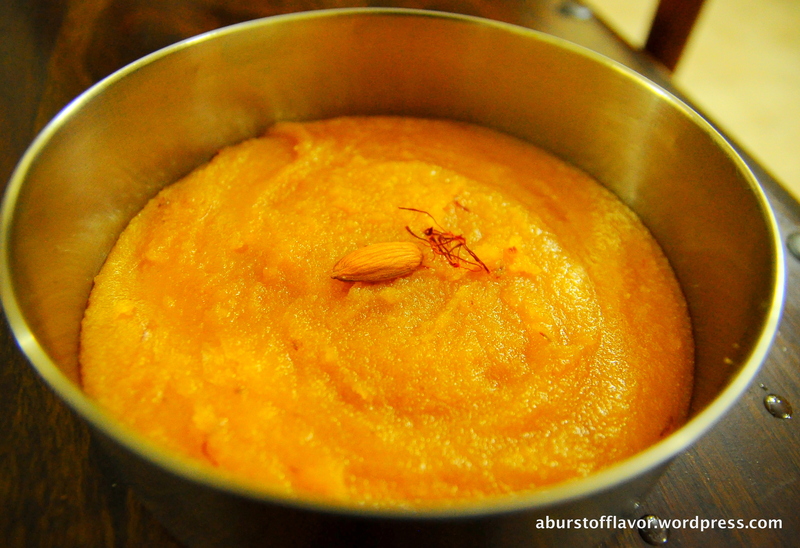 Stir continuously scraping down the sides of the pan, until the halwa starts getting a little dry at the sides. 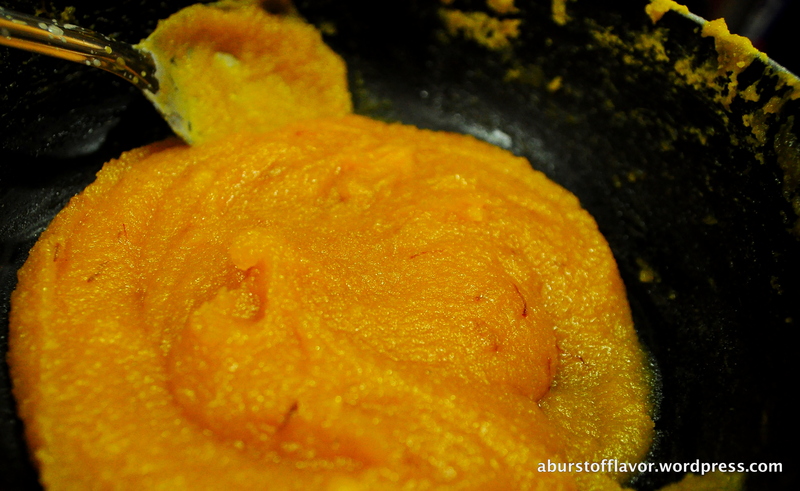 Once you reach this stage, add 1/4 cup of the melted ghee and mix well. Stir around for 3-4 minutes on medium flame. Add the remaining ghee, mix well and switch off the stove.